After cleansing her skin, she would apply Eau des Charmes, an astringent, and finally, Eau d’Ange, a whitener. To keep her hands soft, the Queen slept wearing gloves infused with sweet almond oil, rose water, and wax. 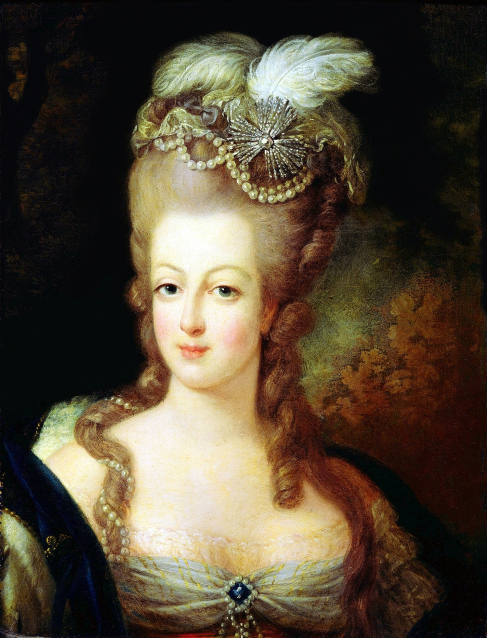 Unlike most people at Versailles she bathed frequently, but always wearing a flannel chemise to protect her modesty. Once in the bathtub, she would wash herself with a scented (bergamot, amber and herbs) soap, exfoliated her skin with muslin pads filled with bran, all the while sitting on a large pad filled with pine nuts, linseed, and sweet almonds. Once her skincare routine was complete, it was time for makeup. Eau d’Ange probably didn’t whiten her skin that much, so to make her face even paler, a white paint was gently and carefully applied. This was then set with a dust of scented powder. Rouge was then applied to her cheeks. 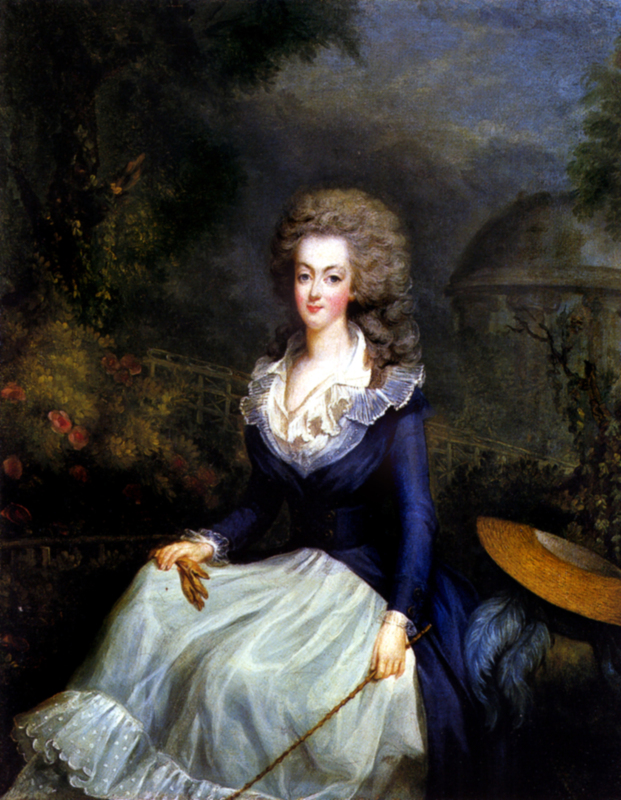 The Empress Maria Theresa wasn’t fond of rouge and would have rather her daughter had stayed away from it, but as Marie Antoinette told her, everyone did it at Versailles. It would have been weird for her not to. Then, khol was used around the eyes to define and enhance them. Finally, a scented pomade was used to give her lips, eyelashes and eyebrows a glossy look. Perfume was a necessity at Versailles. The palace was occupied by thousands of people, few of which paid much attention to their personal hygiene. The whole court stank. To keep the Queen’s room smelling nice required a vast array of fresh flowers, pot pourri, and perfume satchels. These usually smelled of orange blossom, rose, violet, lavender, and lemon, all the scents the Queen loved. Those aromas also featured prominently in her own perfumes. 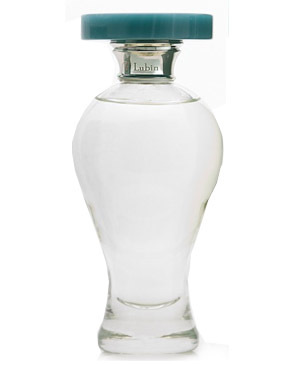 The queen loved both simple scents, like violet or orange blossom water, and more complicated concoctions featuring iris, jasmine, lily, vanilla, and musk, sometimes infused with spicy accents of cinnamon and cloves. 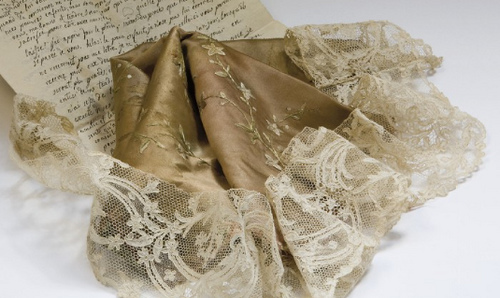 Marie Antoinette had a very vast collection of clothes. As Queen of France, she couldn’t be seen wearing the same frock twice (although she did recycle her favourite gowns). And etiquette dictated that she changed three times a day! She would first don a formal dress, usually made of silk or velvet, to attend Mass. Then, she changed into an informal, more comfortable, muslin or cotton dress for the afternoon. Finally, she would slip into a very elaborate and luxurious gown to attend dinner, and any balls, concerts, or any other evening event. That’s why she was supposed to order 36 new dresses every summer and another 36 every winter; 4 new pair of shoes every week; and she needed 18 pair of scented gloves at all times. The Queen’s dress allowance was therefore vast too. 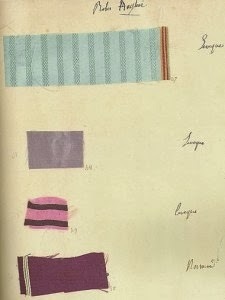 The Queen had 120,000 Livres a year to spend only on her wardrobe, but her fondness for Rose Bertin’s designs (which ranged from 1000 to 6000 Livres each!) meant she often exceeded her budget. The two women often worked together to create new gowns and styles. Most of her dresses and accessories were in the pastel shades the Queen loved so much. Her favourite colours were pale green and yellow, lilac, and light shades of grey. Every morning, when she woke up, the Queen was presented by the head lady’s maid with her gazette des atours. This was a big book containing fabric swatches from any dress she owned. Marie Antoinette would flip its page and mark with three pins the patterns of the dresses she wished to wear that day. Then, the page of the wardrobe would bring them to the Queen’s room in a basked covered with green cloth. The Queen’s vast clothes collection was housed in three rooms, “lined with cupboards, some with shelves, some to hang garments”. The rooms also featured large tables “to lay the dresses on to be folded.” The Queen’s closet, like pretty much any other room at Versailles, was open to the public. Anyone who was decently dressed could visit them and marvel at the gorgeous display of clothes. 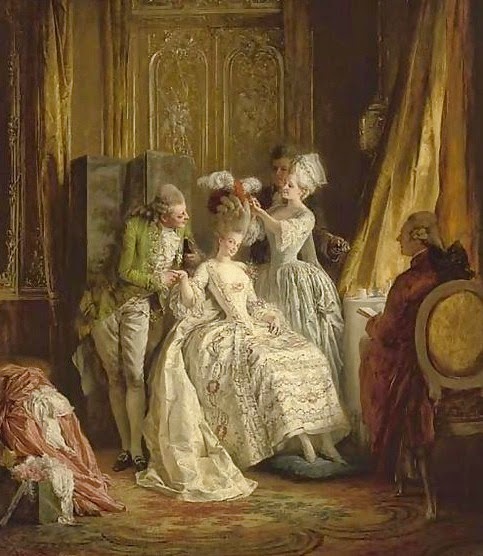 What do you think of Marie Antoinette’s toilette?